Have you downloaded lots of FLV files on your computer and now looking to play on your mobile and laptop? The bad news is that directly it’s not possible to play these files in mobile or laptop but if you convert FLV to MKV or other formats compatible with your mobile or laptop then you can enjoy.  With the right video converter program such as KeepVid Video Converter you can convert these files in your devices compatible formats. We will explain how to convert FLV to MKV in this tutorial today. 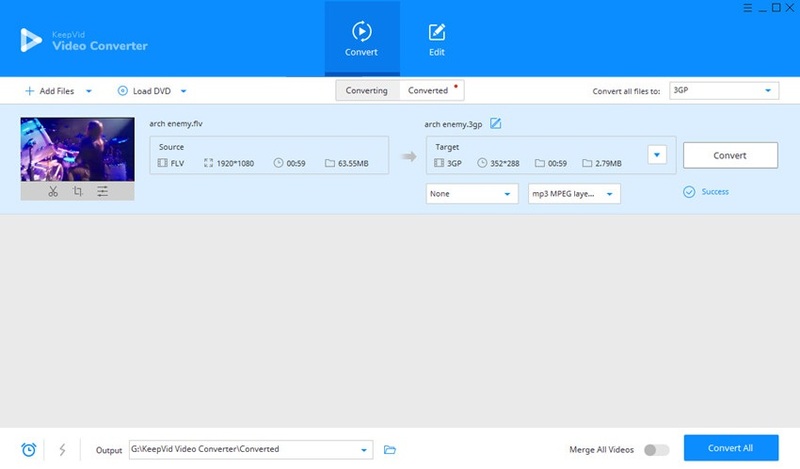 If you are looking to convert the FLV format in the MKV or other formats without any installation, you can take advantage of KeepVid Online Video Converter. With KeepVid Online Converter software you can convert videos and audios of your system to more than 60 formats. The great part is that this website is totally free of charge to convert the videos and you don’t need to do any sign up on the website for the file conversion. KeepVid Video Converter is professional video converter software which is fully featured to convert files in the nearly any format with just one click only. 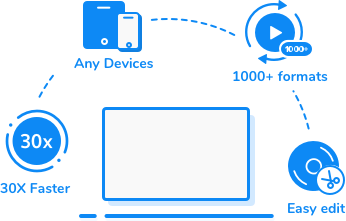 This converter program is the right choice for the video lovers who don’t like to compromise with the quality of video or audio files. 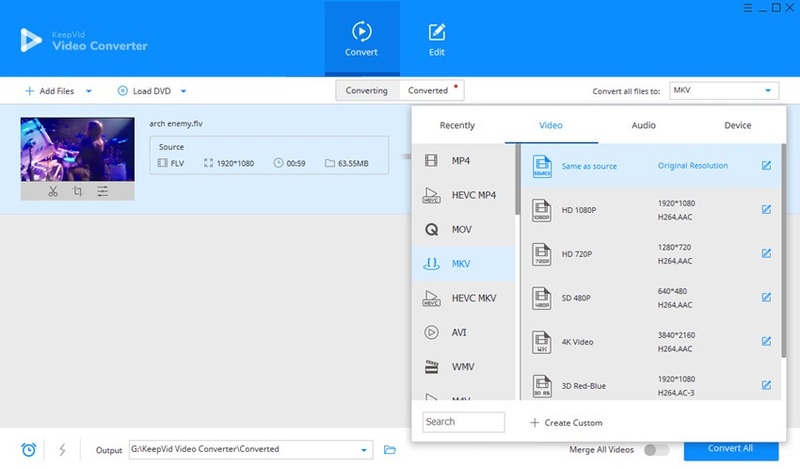 While using KeepVid Video Converter there is no need to have any technical programming knowledge as it is totally a user friendly program developed in keeping all types of tech and non tech people in mind. Very easily and quickly convert the audio and video files of your system or mobile in more than 1000+ formats. Download the videos from nearly any online website and supports 10000+ video hosting sites. Convert the files in your needed format by 30x faster speed. You can join different videos together in a single format with his converter. Add effects, add subtitles, trim or crop the videos with edit tab of program. Step 1 – Visit Keepvid Video Converter Online and add the preferred FLV file. Step 3 – Lastly, select the preferred file format, i.e. MKV, from the available audio formats and hit “Convert Now” button. The very first step is downloading, install and launch the converter. After launching it press “Add Files” option in the top left of the interface then choose FLV from the system drive. Now, look at the top right side. Press inverted triangle to open format list. Choose MKV from the video tab of the list. Finally, after setting up the thing press “Convert All” button and the conversion will be initiated now. MKV is actually not an audio or video format this actually multimedia container file format which can hold the audio, video and subtitles in a single file. This container format supports fast seeking of the video and audio while playback. You can also save the different types of language audios in a single MKV file. These container format files can also be streamed online on the video sites.